This next sweet baby boy I’m sharing is little Wyatt at just 7 days old! He has a fabulous and adorable big sister who enjoyed getting in some photos with her baby brother. And Mom and Dad brought a special quilt along, as well as some other props that were sentimental to them. Wyatt was kind enough to show us those big beautiful eyes of his for a lot of photos, and I always find these shots to be some of my favorites. Here’s a few from Wyatt’s newborn photo session! 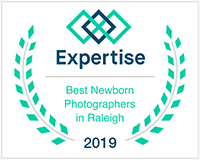 If you’re expecting in the Raleigh Durham Wake Forest, North Carolina area and would like some photos of your newborn baby, please contact me! I can be reached through e-mail, or contact me through my contact form on my website (link below) to discuss or book your session. Thank you so much! This is another family who came out to my fall mini-session event. Sweet little Isabella is two now, and did my Baby’s First Year package back when she was itty bitty! I was so excited to see her again, and she really hasn’t changed much. Still super cute and fun! I really adore this family, and I love getting to capture them! Well, a few years ago things here got really busy and crazy, and my schedule started filling up with family sessions and I’d find myself having to turn away newborn and maternity clients when my schedule was already booked up with big kids and families. And that really hurt my heart. My absolute first love in photography is babies, there’s just nothing else that compares for me, and I know it’s one of my callings in life. 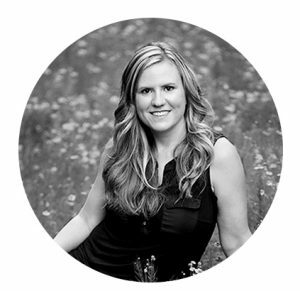 So in order to really focus and devote my time and my schedule to what I love the most, I started turning away the family sessions, and took my business in the direction of all things baby — which has meant only maternity, newborns and baby’s first year. That decision has really been the best thing for me and my business, and I’m so glad I did it. BUT, that has also meant turning away family sessions with clients who’ve gotten older and graduated from my Baby’s First Year plans, as well as turning away my friend’s families, and everyone else who has asked over the past few years for me to do family photos for them. Well, this year I decided to add a new addition to my offerings. Seasonal mini sessions for families. They sold out VERY quickly for the fall, and I was so overwhelmed at the response! For those who missed them or didn’t get a slot, I plan to offer them at least twice a year, or maybe more depending on my schedule. The next family mini sessions will be available in spring 2016. If you’d like to get on my mailing list and get first dibs at a family mini session spot, please email me at melissadevoephotography@gmail.com so I can add you! I did TONS of mini sessions and I’m not sure the best way to blog ALL of these, so I figured showing a small sample would be best. Here is a very sweet family with their four kids. They were so much fun! If you want photos like this to remember your baby’s first year, please contact me! I’m taking bookings for maternity, newborn and Baby’s First Year sessions in the Raleigh Durham Cary Wake Forest, North Carolina area. Be sure to contact me early to reserve your space! I’m currently booking photo sessions for January 2016 and later. This handsome little dude is Will and he’s recently turned one year old! He’s graduating my Baby’s First Year plan, which always makes me a little sad. I’ve enjoyed seeing him so much during his first year, and watching him grow and change. From his itty bitty newborn stage, to sitting, and now walking aaaaall over! I swear once little boys learn they can walk, it’s not long until they’re running and exploring and we’re chasing them! I had so much fun capturing Will at his one year session. He’s such a happy, great little boy!